Texas Center for the Missing is proud to announce that we were selected as an official charity for the 2014-2015 Chevron Houston Marathon Run for a Reason charity program! Linking 30,000 runners with 62 charities, the Run for a Reason charity program provides an avenue for race participants, individuals, and organizations to collect donations on behalf of an official charity of their choice. It also provides a platform for charities to raise awareness and educate others about their cause. The 2013-2014 season marked the fourth year in a row that fundraising surpassed the $2 million mark, generating a record $2.6 million from over 16,000 donations. Since the program’s inception in 1995, more than $19 million has been raised to benefit various charities. The Run for a Reason fundraising goal this season will be $2.4M! The Run for a Reason program offers guaranteed ways to enter the Chevron Houston Marathon and Aramco Houston Half Marathon without having to enter the lottery. Starting June 4, a limited number of guaranteed charity entries will be available on a first-come, first-served basis. “HERO” charity entries enable runners to make an upfront, tax-deductible donation of at least $350 to an official Run for a Reason charity of their choice, plus the cost of registration, to secure a guaranteed race entry. Click here for more information. Individuals can also purchase a guaranteed entry for someone else through the “Gift a HERO” program. “Fundraising for Registration” charity entries give runners an opportunity to fundraise for an official Run for a Reason charity of their choice and receive a guaranteed race entry. Participating charities set their own fundraising minimums and deadlines, and runners should contact the organizations directly. Click here for more information. 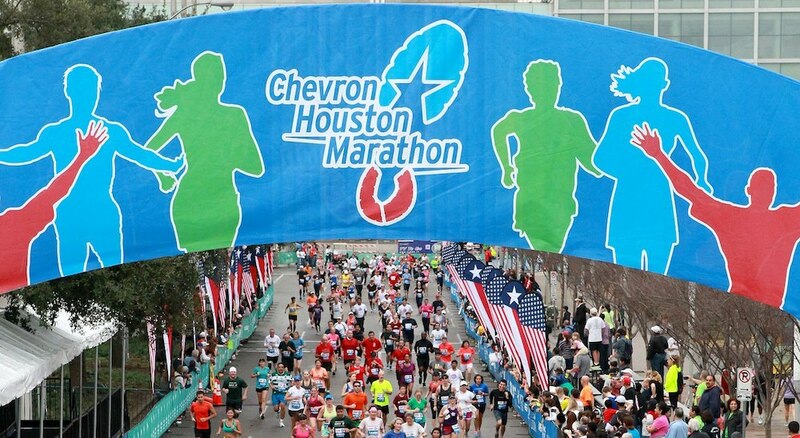 The Chevron Houston Marathon and the Aramco Houston Half Marathon will be held January 18, 2015. The ABB 5K will be held January 17, 2015. The races have sold out for the past 5 years, so hurry to get your Run for a Reason charity entry before it’s too late! If you are interested in participating in the 2014-2015 Chevron Houston Marathon Run for a Reason charity program in honor of Texas Center for the Missing, email mturnquist@tcftm.org for more information. Houston City Council Member to Serve as Honorary Golf Chair The Summer 2014 Newsletter is Out!